Things to do with gardening and landscaping. 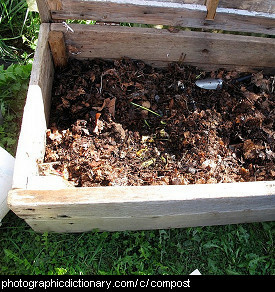 Compost is vegetable matter, rotted down so it can be used to fertilize and improve soil. You can make your own compost from lawn clippings, newspaper, food scraps and fallen leaves. Compost is best kept slightly moist, and turned regularly to aerate it. Worms in your compost will really help the composting process along, as the worms eat the food scraps and their castings become part of the compost. Taking cuttings and striking them is a way of growing a new plant from a piece cut off from another plant. The most successful way of taking cuttings varies widely depending on the type of plant. Some cuttings need to be of soft new growth, some hard, some taken in winter while the plant has no leaves, some in spring when it is vigorously growing, still other plants can be grown from only a piece of root or a leaf. Some need to be let dry a little first (hardened), some need special hormones, but as a general rule all cuttings need to be kept slightly moist so they do not die before they have their own root system. 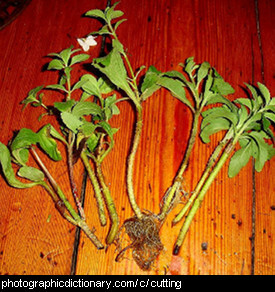 The cuttings in the photo have been left to stand in water and have grown roots. 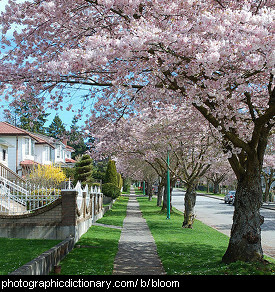 A plant is deciduous if it loses its leaves each year in the cooler months. 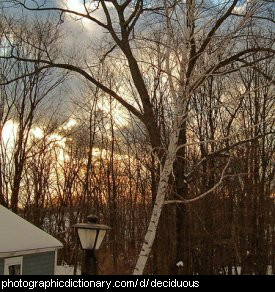 Deciduous trees leaves turn from green to shades of orange in autumn, and then fall off. The leaves grow back again in spring. Dirt is a general name for the fine powdery stuff that is on the ground everywhere outdoors. 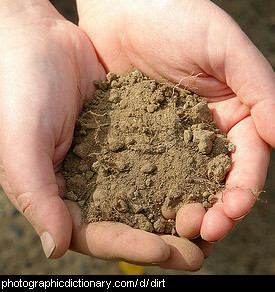 Dirt is the name given to very ordinary sort. 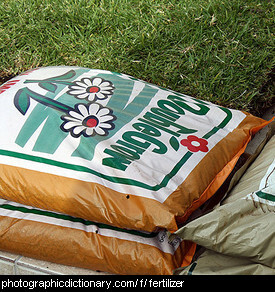 Rough dirt that doesn't hold water very well is usually called sand, very fine dirt that can also be used to make pottery is called clay and dirt that is good quality, either naturally or because someone improved it with compost, is called soil. 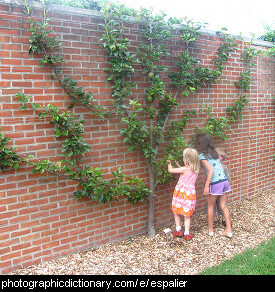 Espalier is a pruning technique that shapes plants into a flat growth pattern, usually against a wall or fence. 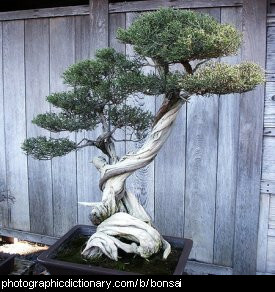 Espaliered trees take up a lot less space than trees left to grow naturally, so it is a popular technique in small gardens. A tree or shrub is called evergreen if it does not lose its leaves in autumn. 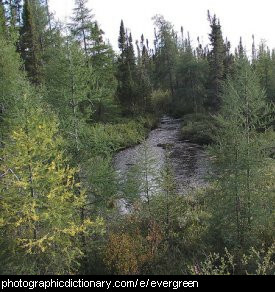 Evergreen trees have green leaves all year around, and deciduous trees do not. 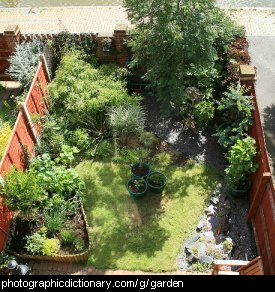 A garden is a planned space, full of plants that have been placed by the garden's owner. Gardens can be indoors or outdoors, just for decoration, or for growing fruit and vegetables. Some gardens have plants that are trimmed into shapes, called topiary.